It is with the greatest enthusiasm that we welcome you to our Mountain Cabin! Our home was custom built in 1987 on JackÃ¢â‚¬â„¢s family land. His parents and brother live just below us. The property is surrounded by eight acres of undeveloped land with the desire for it to remain in the family. We will not be moving far away, but building our new home on land just down the hill;Ã‚Â closer to JackÃ¢â‚¬â„¢s parents on Brandon Road. For 30 years, this has been truly home to us as we reared two children. We have been local educators, Rachel, having just retired at the end of 2016 to take care of our new granddaughter and Jack still in the classroom. Our children live here in Black Mountain and are also educators. 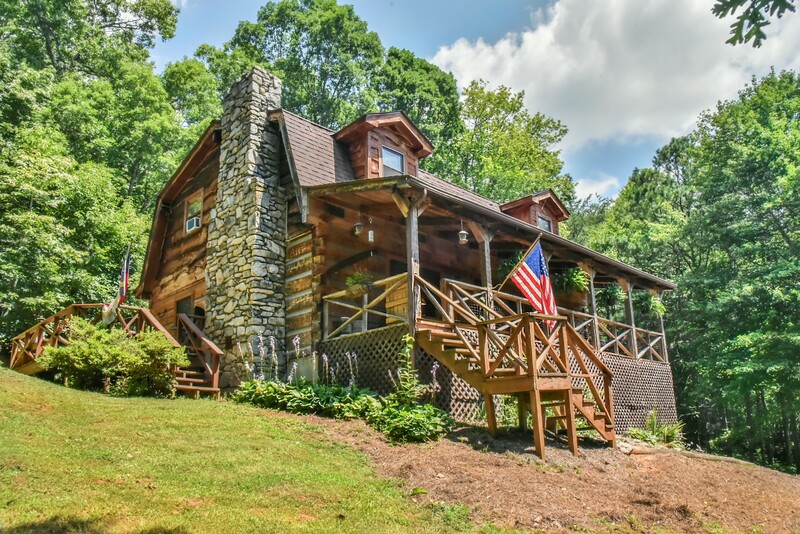 This has been the perfect home plan for us as we wanted a design that would connect to our Southern Appalachian Heritage. The home is of the dove-tail log design typical of the mountainÃ¢â‚¬â„¢s first Scots-Irish settlers 200 years ago. It is extremely quiet and surrounded by countless hardwood trees and native plants. Quite often we see bear, deer, and turkey. Great peace has come from a rocking chair on the front porch to the countless family and friend times, we have experienced on our wrap- around deck. 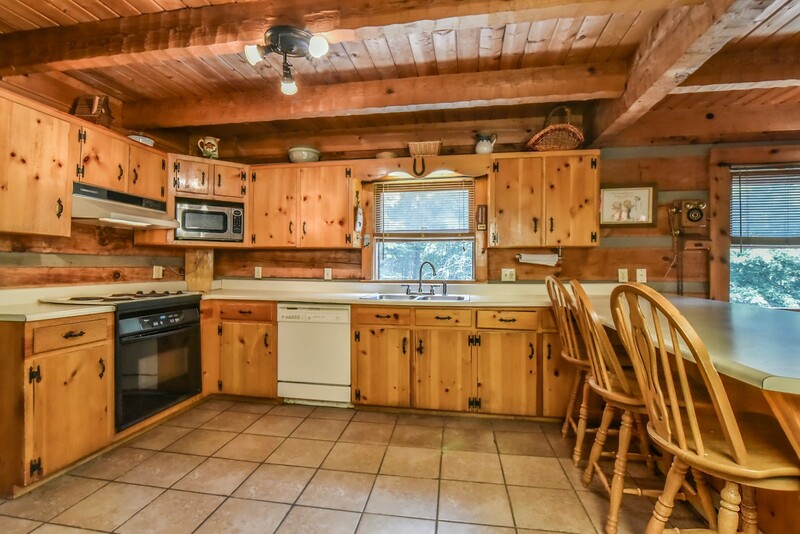 Our cabin makes winter more pleasurable with mountain views and the warmth of the open fireplace. The logs are a great insulator for heat in the winter and coolness in the summer. Last summer (the warmest recorded) was the first summer we ever used air conditioning downstairs. 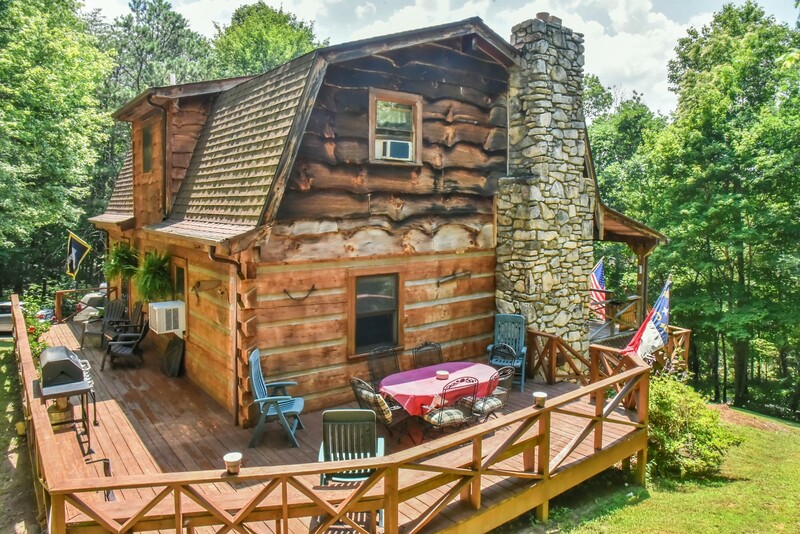 As we have always loved the seclusion ofÃ‚Â our mountain cabin, we have been most fortunate to have close access to downtown Black Mountain which is only a mile and half from our home. The entrance to beautiful Montreat is just a brief walk or drive across Rainbow Mountain. Of course, Asheville, is a short 20-minute drive. Our cabin sits just outside the Black Mountain city limits; therefore, no additional city taxes. Waste Pro charges a minimal fee to pick-up our trash. They are the same disposal company that services city residents. Some of the very best water comes from our deep well in which the pump and casing were replaced in 2015. A filtration system was added just last year. The water heater is less than two years in usage. The refrigerator was purchased in January of this year. Our range and dishwasher are less than 10 years in age. The unpaved area in the driveway is the result of a tree stump that was put under ground when we excavated. Decay caused the stump to collapse, thus causing the pavement to buckle. Of course, this recently happened the busy week of our sonÃ¢â‚¬â„¢s wedding three years ago. We had this repaired with no additional problems! The roof was replaced in the mid-2000Ã¢â‚¬â„¢s with a 30-year guarantee.